Segnant Technologies is excited to announce the launch of Bridal by Leslie’s website. 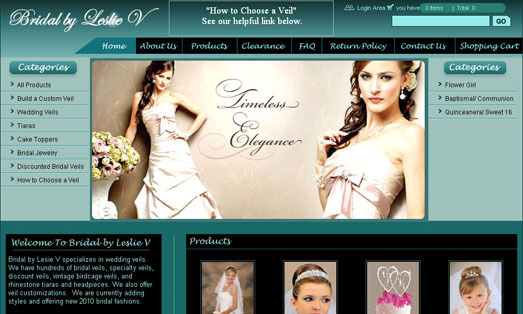 Bridal by Leslie is an online wedding store that stocks all your wedding needs. Bridal by Leslie specializes in veils that have a special touch, such as a rhinestones or a lace trim to match the bridesmaids’ dresses. Bridal by Leslie also offers gifts for the wedding party as a special way to thank those close to you.